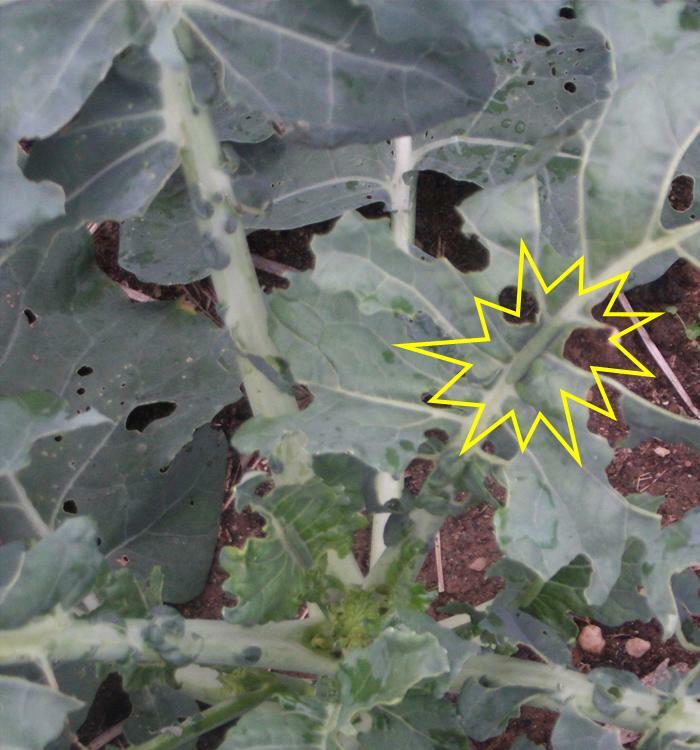 I wish I’d gone back and read Bob Nixon’s Aug 7 post about covering broccoli transplants with tulle, because the cabbage moths sure did visit my broccoli patch this year (see right). 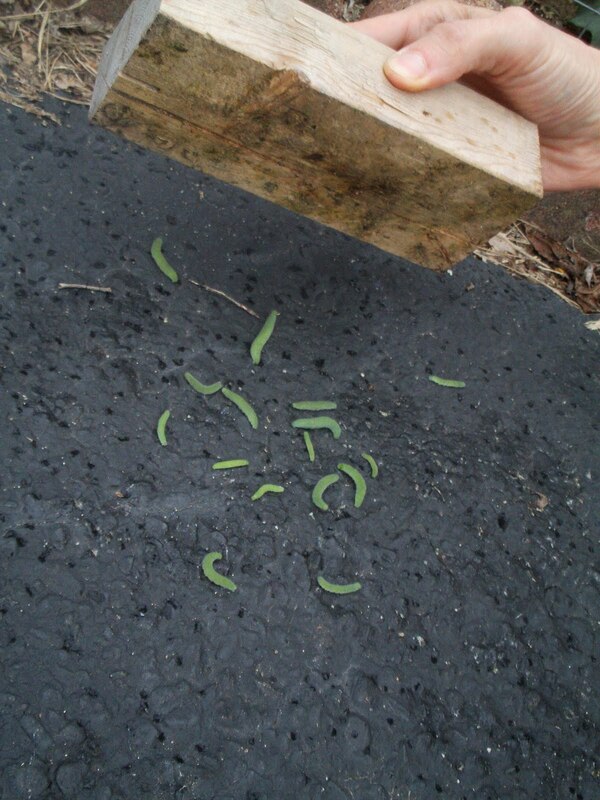 Still, I have developed a somewhat effective tactic for dealing with cabbage worms once they emerge onto the scene. 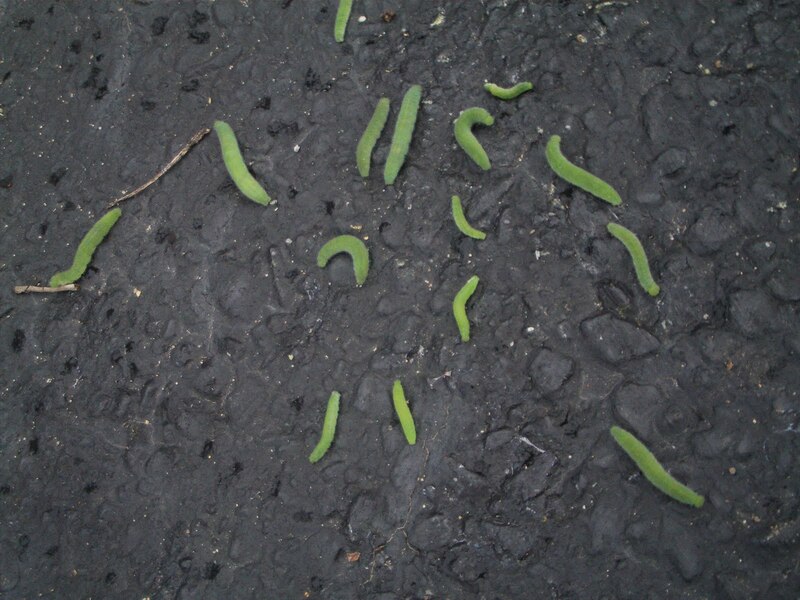 It’s a new game I like to call ‘Cabbage Worm Armageddon’. 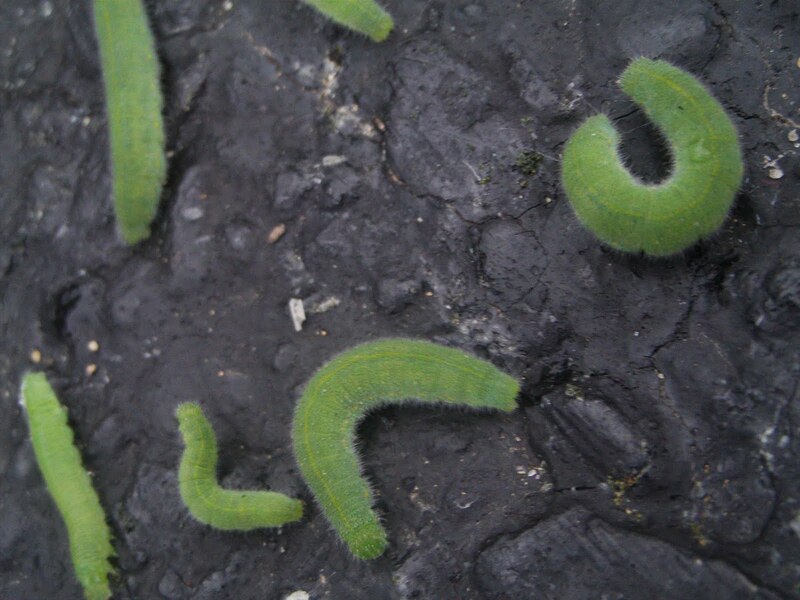 I’d like to say that ‘no cabbage worms were harmed in the making of this blog post’, but, well, I guess that’s not really true. Still, I’m happy to report that while my broccoli plants have sustained some worm damage, they’re just starting to form heads and so there’s hope for a fall harvest yet!!! ← Demo garden interactive map! I'm glad you're having fun with it! 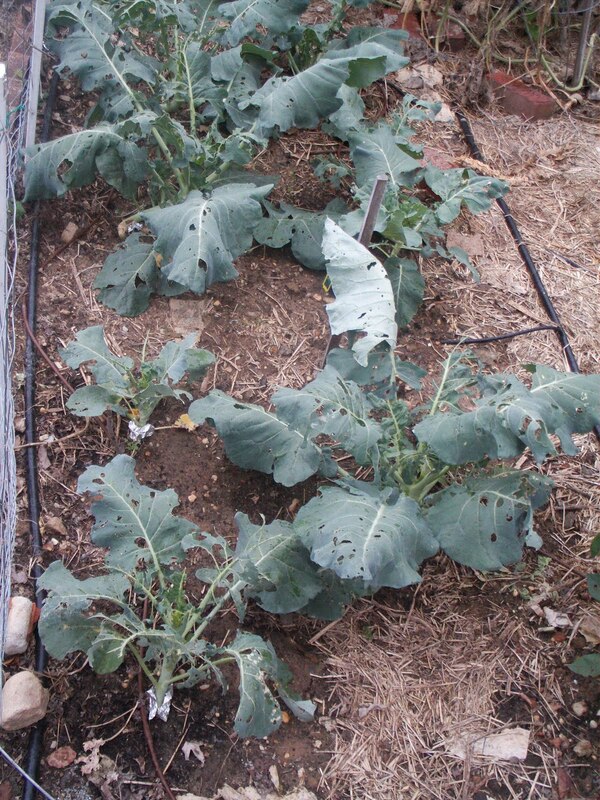 Not sure what I call the game where I squish all the harlequin bugs that are sucking on my broccoli leaves right through the row cover. Death Tag, maybe? You haven't seen stink bugs because they're all on my screen and sneaking into my house. 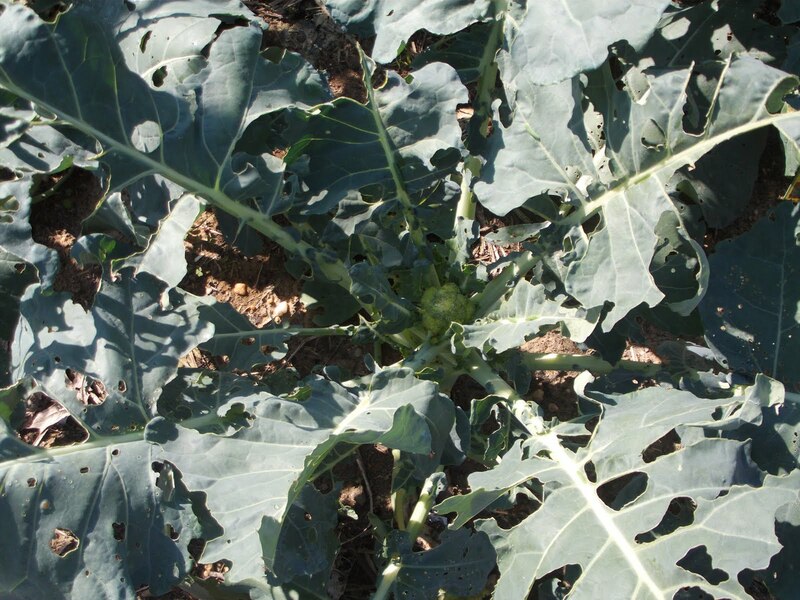 I had quite a time with cabbage worms this year in my broccoli and brussel sprouts. I will tent them next year but this I just picked them off and fed them to my chickens. They LOVE them !